Come and see us at FESPA Digital 8-11 March 2016 on the THIEME stand J70 Hall 1 where the THIEME 500D Digital Printing Machine will be on show. 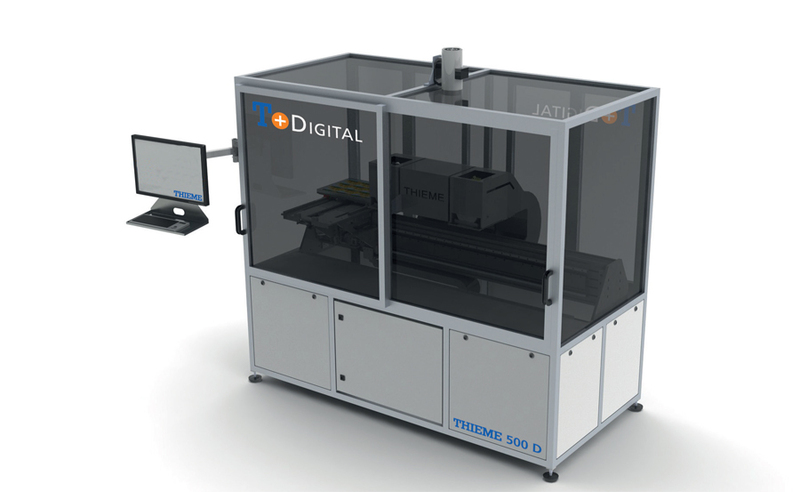 The THIEME 500D affords reliable entry level into industrial digital printing whilst the THIEME LAB Digital Series offers a diverse platform for its customised design using modular proven components to build a cost effective industrial digital solution. Both machines can be used with a variety of high performance ink systems.